Murder is a messy business. The motivations behind committing murder can be complicated. The murder weapon needs to be considered, a pistol perhaps? Or, the ubiquitous blunt instrument? The location and the timing of the murder need to be carefully planned. Witnesses are to be avoided. An alibi has to be constructed. Then, of course, the question of what to do with the body must be answered. If murder is so difficult, why is it so fascinating? 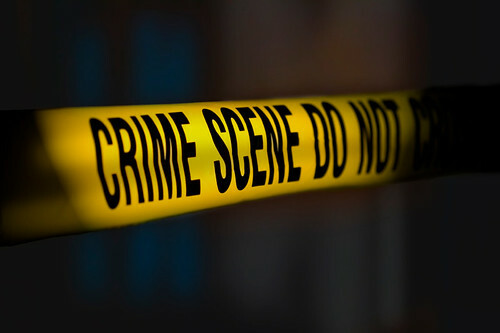 Crime fiction is the world’s largest genre. One of the reasons for this is that crime fiction writers have so successfully capitalised on the appeal factors of reading: character; language; setting; and story. Many crime fiction readers are very familiar with these appeal factors: the numerous characters from cerebral sleuths who can solve a crime in their living room over a cup of tea (Edgar Allan Poe, Arthur Conan Doyle) to weapon wielding heroes who track down villains on foot in darkened alleyways (James M Cain, Raymond Chandler, Peter Corris, Dashiell Hammett); the language of the cultured conversations from the novels of the genre’s Golden Age between World Wars I and II (Margery Allingham, Agatha Christie, Ngaio Marsh, Dorothy L Sayers) to the hard-hitting terminology of forensic procedurals (Patricia Cornwell, Gabrielle Lord, Kathy Reichs) and legal procedurals (Sydney Bauer, John Grisham, Scott Turow); the settings that range from Australian towns and cities (Shane Maloney, Peter Temple, Arthur Upfield) to glamorous locations around the world (Ian Fleming, Patricia Highsmith); and the diversity of detective stories from the classic locked room (John Dickson Carr, Fergus Hume) to modern day military thrillers (Tom Clancy, Matthew Reilly). Crime fiction also covers the continuum of stories that focus on solving the crime (G K Chesterton, P D James, Ellis Peters) to works that explicitly detail criminal acts (James Ellroy, Thomas Harris, Mo Hayder). There is, quite simply, a dead body for every reader. What are your favourite crime related reads? Any films or games? What are the blogs, twitter streams or magazines you read for #crimeread? Any apps which form part of your #crimeread enviroment? There will be a live twitter discussion on 30 April starting at 8.00pm Australian Eastern Standard Time. 9.00pm New Zealand Time, 6.00pm Singapore Standard Time, 12.00 noon Central European Summer Time. Note : this is a staggered start to the discussion. Use the tags #crimeread and #rwpchat as you discuss the reading, watching playing that is your experience of crimeread, so others can join in the conversation too. You can add your pins to this board on Pinterest (once you follow it and we add you as a pinner) for #crimeread too. Please use #rwpchat in the text of items which you pin. Read watch play by https://readwatchplay.wordpress.com/ is licensed under a Creative Commons Attribution-ShareAlike 3.0 Unported License.